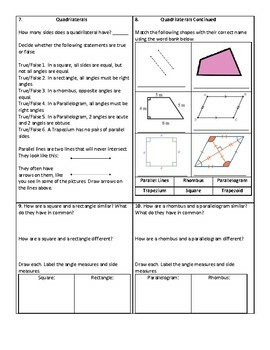 This worksheet can be used as self-directed learning for students to explore what it means to classify triangles and quadrilaterals. The scaffolding makes this accessible for all students. 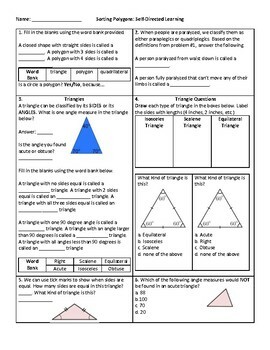 I have used this as a preview assignment, as a diagnostic, and as group work. Student-centered discovery of the material increases the retainment of this content.